There are no reports of how many people signed up to watch the "rumble" between Bill O'Reilly and Jon Stewart or how many were successful. Many who did watch "believed the affair was more substantive than the real debate":https://twitter.com/ourmaninchicago/statuses/254756802296692736. The live audience that filed into George Washington University in Washington, D.C., Saturday to watch Bill O’Reilly and Jon Stewart satirize the presidential debates was a cozy 1,500. This “rumble” seemed like a made-for-cable recruitment video, but it wasn’t. Its broadcast rested on the Internet, not cable networks — pay-to-view web streaming, Roku streaming, and post-event downloads. It could have been an example, to be referenced for years to come, for how this type of event might work, and be paid for, in the digital age. Instead, social networks lit up with criticisms — streaming video not working! — and now, it may go down in history as one big failed experiment — not because of the content, but because of the delivery. This rumble seemed like a made-for-cable recruitment video, but it wasn't. Its broadcast rested on the Internet, not cable networks." There are no reports of how many people signed up or how many were successful. Comments from people who watched the event were laudatory, and many believed the affair was more substantive than the real debate. The event began at 8:00 p.m. Eastern, but the official Twitter account did not acknowledge problems with the live stream until 8:41 p.m. However, a post on Facebook suggests that the team knew trouble was brewing much earlier. At 7:59, they posted: If you’re having any issues viewing – go directly to this link to view! There are 443 overwhelmingly critical comments on that post. The Twitter stream for #rumble2012 was more positive than negative, but the Rumble2012 Facebook page mea culpa had a total of 545 negative comments. Neither social service is linked from The Rumble website. There is a “follow us on Twitter” button but no link to the account profile. Neither account responded to customer unhappiness in real time. And the Twitter account has yet to respond to a complaint; neither has The Daily Show nor the O’Reilly Factor Twitter accounts. Not so Roku, whose brand was tarnished in the event. 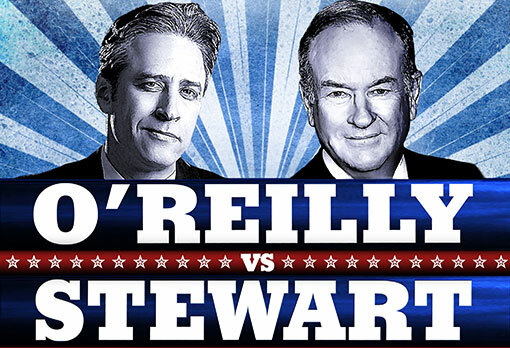 The two celebrities organized the event through their respective production companies, with O’Reilly taking the lead, according to Stewart. Nox Solutions, a Los Angeles-based web services company, was responsible for “powering” the event. According to their website, they’ve been in business since 2001 and helped launch BillOReilly.com and manage sites like DennisMillerRadio.com and LauraIngraham.com. In 2009, YouTube streamed a Bono concert without a hitch. Estimated audience: 10 million. Last year’s royal wedding live stream on YouTube ran smoothly. Estimated audience: 400 million. Ironically, Nox lists online reputation management as a service. The company’s Facebook page is locked down. It has no Twitter account; someone set up a parody account on Sunday. As of Monday afternoon, the Nox Services customer service voicemail box was full, so I left a message with sales. I’ve also reached out to Jon Stewart’s office and used the Rumble “press inquiries” link. If and when they answer, I’ll update the post. As a Rumble 2012 customer, I await an answer as to why Nox Services charged my credit card twice: $4.95 and $1 — and when they’ll be providing a copy of the event with audio that is in sync and a frame rate that is conducive to smooth, not choppy, video. But, despite all the aggravation, it’s still a good deal — far less than a ticket to the local movie complex, with the added benefit of both humor and relevance. Below is a Storify of the highlights from social media chatter about the rumble. Correction: This story has been changed to correct an editing error. The rumble took place Saturday.